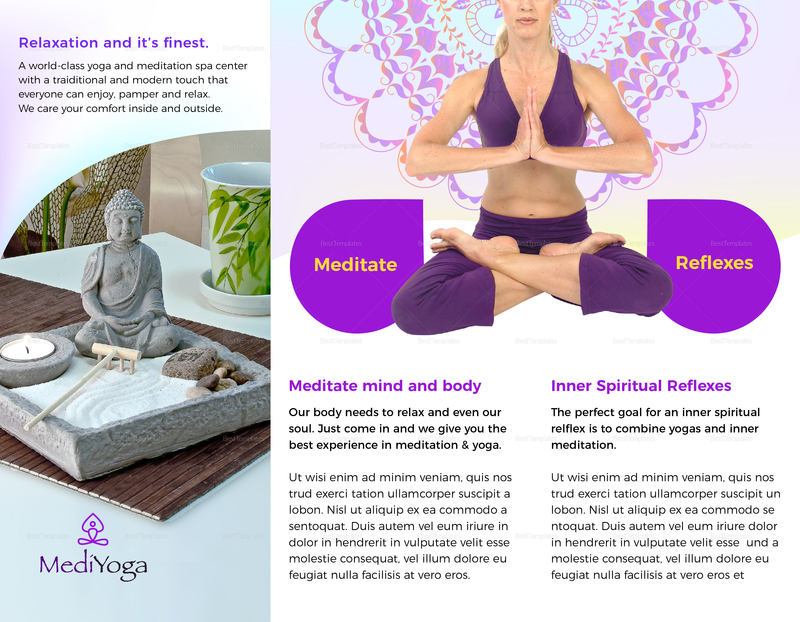 This yoga brochure inspires people to take a break from the hectic world, to meditate and center themselves. 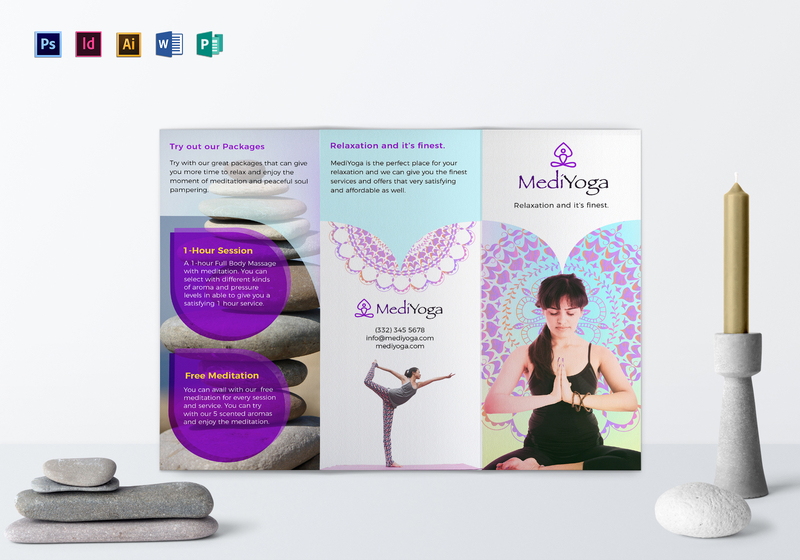 This tri-fold brochure is soothing in its pale blue and purple theme which is customizable and available in several file formats. 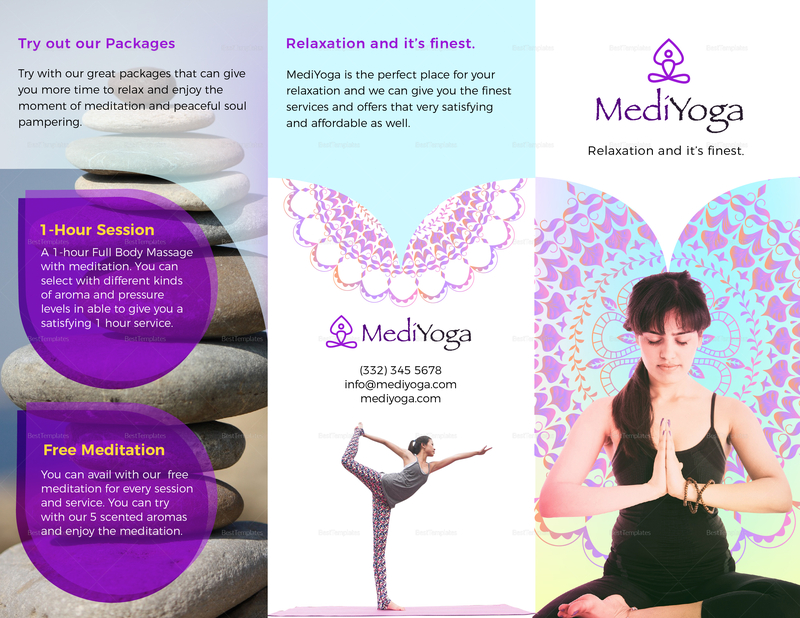 Attract more people to practice yoga in your community now.